If you’ve been following me for a while, you’ll know that I’m an unofficial minimalist. When it comes to any “baby essentials”, I immediately question and scrutinize how essential it really is and whether I can get a second-hand version. (My baby didn’t have a crib until she was over a year old.) That said, babies do need things, and not everything can (or should) be found at the local thrift store. People in your circle want to give you gifts that you’ll actually use, love, and appreciate. The best way to help them decide what to get is to create a baby registry. Select items in different price ranges. Different people will want to contribute with different amounts. Some will want to get a bunch of little things, and some may want to pitch-in for a big-ticket item. So go ahead and ask for what you really want. I was one of those moms who adamantly didn’t ask for anything, and of course, once baby was here I was left scrambling to get the essentials. Here is a list of often overlooked items that you will actually use once baby is here. The thrifty mom side of me wants to suggest a multi-pack. Obviously those are more cost effective. 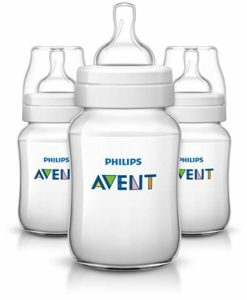 However, not all babies take to all bottles. It’s a good idea to get a couple of different ones and then buy more of your (and your baby’s) favorite. Don’t get too hung up on claims of “anti-colic” or “the most natural shape”, they all say that. Even if you’re sure you won’t be using a bottle, I say get a couple anyway. If you don’t use them you can always donate. I was certain I’d exclusively breastfeed but that didn’t work out, and then I was left scrambling to feed a hungry baby with no bottles on hand. Here’s an often overlooked gadget. 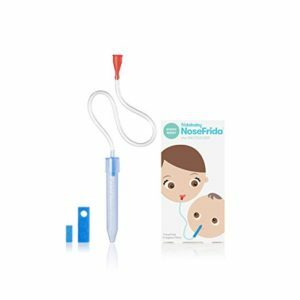 When babies are ultra small (especially premie) everything that comes in contact with their mouth should be sterilized regularly. (The rule is more forgiving as they grow older if they are healthy.) That means all pump parts, bottles, and pacifiers. 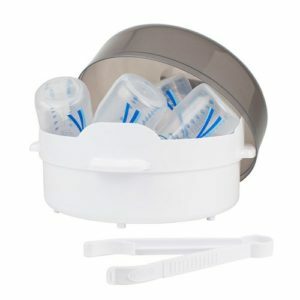 There are three ways to sterilize something: by boiling it for five minutes, by running through the “sterilize” dishwasher cycle, and by using a steam sterilizer. Personally I love the kind that goes in the microwave with a bit of water for five minutes. It’s fast and doesn’t take up extra space. Plus it’s so satisfying to fit all the parts in just the right way. Like a game of tetris for parents. 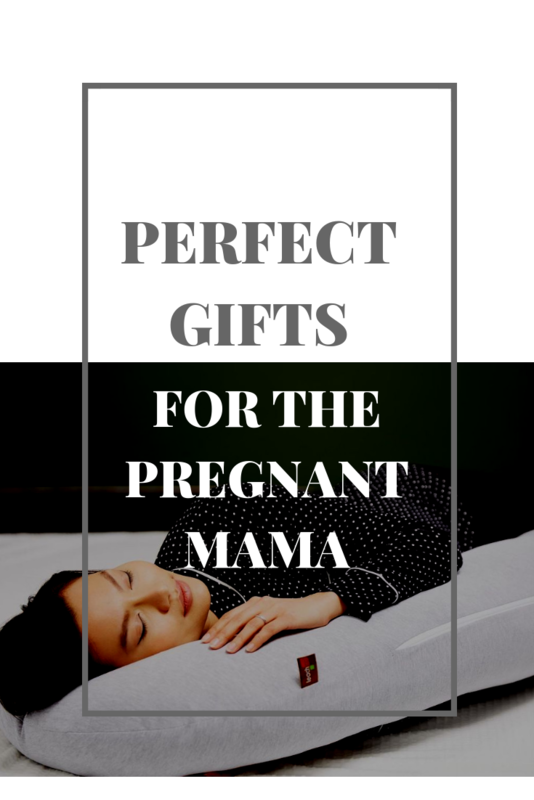 Shower gifts usually center around cutesy necessities for the baby. Well what about for the mommy? 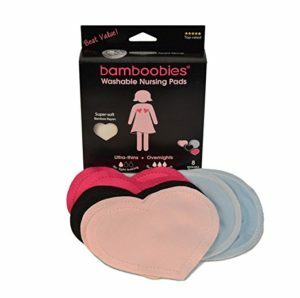 Breast pads are a MUST for almost every new mom so you might as well get cute ones too. On the topic of “strictly business” items, why not ask for some some diapering essentials? Now there’s a gift you’ll actually use! If you’re sitting on the fence about cloth diapers, maybe ask for a couple as a gift to see how you like the experience. There is nothing better than wearing your little newborn around the house and on walks. I would wear my tiny baby skin-to-skin which left both me and her with permanent grin. Whatever carrier you choose, know that babywearing provides womb-like sensations which means calmer and happier babies. On top of that, The Breezy Wrap keeps you from getting too hot and sweaty, is lightweight, and packs away neatly. This contraption seems a little frivolous until you have a stuffed-up baby. Then you don’t want to be stuck without one. It works best if you squirt a little saline solution in the baby’s nose first, to soften everything up. Admittedly, baby’s not a huge fan, but you gotta do what you gotta do. Years ago I would have gasped if I saw something like a breast pump, a car seat or a stroller on the registry. Now – I’m excited to see these big-ticket items. Like many others, I prefer to pitch in to one big gift that would otherwise be a burdensome expense for the new parent. So don’t be shy. Ask for what you really want.